August 01, 2014 - Everyone uses social media to interact with their brand and company. Reaching Millennials and adult learners has brought a collaborative connection and a positive interaction through education technology resources. We are nearing 4,000 followers on Facebook and slowly building connections with users on Instagram, Twitter, Pinterest and Google+. We want to reach underserved communities with not only our resources, but through collaborative efforts with other edtech enthusiasts who promote culturally relevant resources via the World Wide Web. As users, we have now become conditioned to receive news and events immediately through our mobile devices. Is this wrong? It would depend on one’s cultural perspective and if a user uses this medium appropriately. How about in education? Certainly, the use of social media in the classroom brings many benefits. Educators can provide a space for creative collaboration. Don’t forget to promote classroom management and educate student learners on proper use of social media in the classroom. Why would we want to reach out to our student learners via social media? This question poses many intriguing conversations and for many, a lively debate. We certainly check our emails daily and social media minute to minute. Working professionals get dozens of emails daily and many do collaborate through social media. Have you seen a colleague actively ‘Liking’ on Facebook while you wait hours for their email response? Then, they respond quickly through FB messenger? We have started conversations using hashtags on Twitter and started community chats on popular education platforms. We want to give you the opportunity to be an active participant with social media. This provides many users the space to have a voice which goes a long way for school students. The Diné Keyboard App for for iPhone®, iPad® & iPod touch® and Android OS has allowed users to text, email and share their updates in the Diné language. As of this summer 2014, there are over 11,000 downloads of our app and we continue to promote it as a tool for language learning. 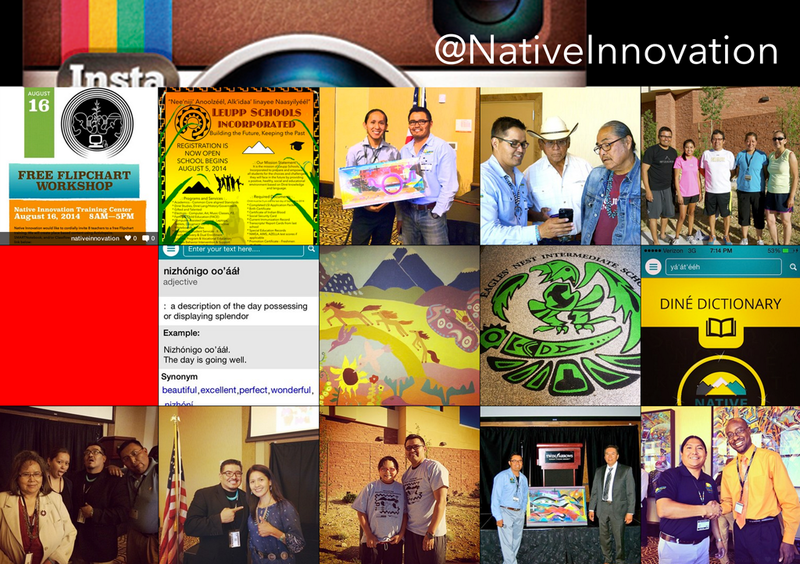 We look forward to releasing the Diné DICTIONARY App for iPhone®, iPad® & iPod touch® app during the 2014 Navajo Nation Fair. If you are in the area come visit our booth and let us show you all the elements inside this app. More coming soon!